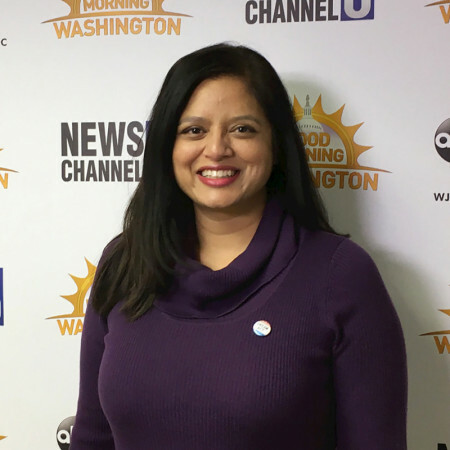 The Democratic National Committee has announced that it has appointed Rachana Desai Martin as Chief Operating Officer. A veteran political activist, Martin has been serving as the DNC’s COO on an interim basis. She will oversee the DNC’s operational and administrative infrastructure. The CEO of the Democratic National Committee is Seema Nanda. Previously, Rachana served as the Director of Voter Protection and Civic Engagement, where she oversaw the Party’s national voter protection efforts. She brings a wealth of experience from both government service and a variety of campaigns, including multiple roles inside the Obama administration and led the voter protection efforts in Nevada for Hillary Clinton’s 2016 campaign. “As we head into one of the most important elections of our lifetime, we are building a world-class team in order to beat Donald Trump and elect Democrats up and down the ballot,” said DNC Chair Tom Perez. “(Rachana) brings a wealth of experience from both government service and a variety of campaigns, including multiple roles inside the Obama administration, and led the voter protection efforts in Nevada for Hillary Clinton’s 2016 campaign,” noted the DNC in a press statement. According to her LinkedIn profile, Martin formerly served as the senior federal policy counsel at the Center for Reproductive Rights. She also served as the Voter Protection Director for the Nevada State Democratic Party during the 2016 election cycle. Martin served in the Treasury Department of President Barack Obama’s administration, and also at the Department of Veteran Affairs. She received her BA in political science from the University of South Carolina and attended Vanderbilt University Law School.